A special effect thread. 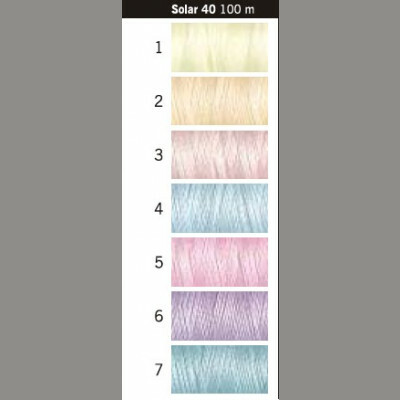 Solar 40 thread changes colour when exposed to ultraviolet light or sunlight. 100% Polyester.